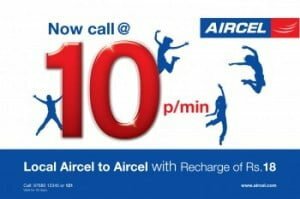 AIRCEL, one of the fastest growing Pan India telecom operator today announced the launch of new STV-18 (Special Tariff voucher) for its prepaid GSM mobile service customer in Mumbai and Maharashtra-Goa telecom circles. Aircel’s new STV-18 is specially tailored to provide maximum benefits for Unlimited Own-Net callings at 10 paisa/min. 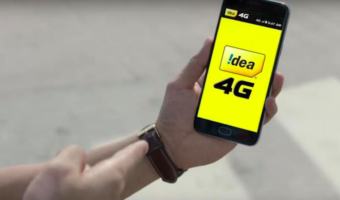 The operator claims that its new offer is far better and affordable from all other offers available in Mumbai and Maharashtra circle by various mobile operators wherein Own-net calling benefit is limited to to 10 mobile numbers. The STV-18 is priced at Rs.18 wherein one can make Unlimited Local calls to any Aircel numbers at just 10 paisa per minute. Remaining tariffs such as Other Local, STD, ISD,VAS, etc will be as per the customers existing plan.The tariff will be valid for 30 days. 2. Applicable for Mumbai & Maharashtra-Goa circles. 4. Remaining tariffs such as Other Local, STD, ISD,VAS, etc will be as per the customer’s existing plan. 5. Post conversion into Rate Cutter 18, no rate cutter will be applicable for 30 days – till the expiry of the tariff validity of RC 18. 6. The tariff plan is a minute plan and per second billing customers taking this rate cutter will move to per minute plan for Local calls only. 7. Not applicable on 52, 97 & 99 FRCs & Rate-Cutters RC17 (Local, STD @45p), RC19 (Happy Hours pack), Local Packs (RC3, RC45, RC15).